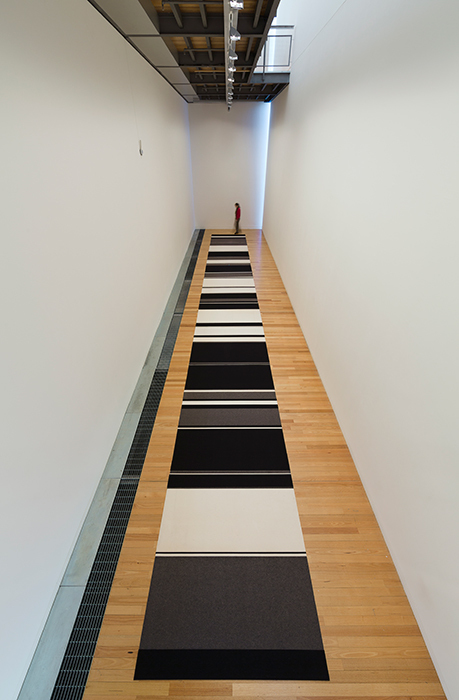 Installation view of Peter Robinson, Cuts and Junctures, 2013, cut wool felt, installation dimensions variable, at the Adam Art Gallery. Courtesy the artist and Peter McLeavey Gallery, Wellington. Photo: Shaun Waugh.